I will be going into my second full season in Belgium, the second year that I will be supported by The Dave Rayner Fund. I started cycling when I was 13 years old, For a local club Wigmore CC, by being involved in a well structured set up I was quickly introduced into racing as youth and started out on my dads 15 year old road bike. After four years of racing,growing my own knowledge within the sport and building a strong CV, going into a second year as junior I applied and got accepted into the clubs development race team called TBW Bottecchia Wigmore RT, through their contact in Belgium I had the chance to go to Europe and have a taste of racing on the continent as a junior. 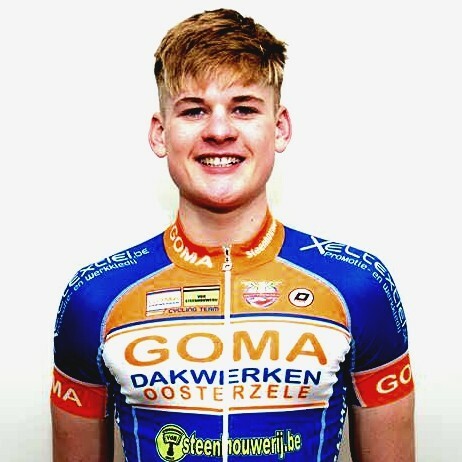 For the second year I have resigned for team Goma Dakwerken, the team comes with a fantastic race programme, which I will be in the selection process for races all over Belgium such Ronde Van Oost Vlaanderen, Ronde Van Vlaams Brabant and will hopefully be adventuring to France for my second attempt on the Tour de la Manche. For my third year running I will be riding a Bottecchia race bike, the kit is supplied but the very popular in Belgium Doltcini clothing. I'm very much looking forward to starting the season and improving on last year's results.